naturally.jo posts stunning photographs of vegan desserts and snacks. You thought being vegan is boring because your food choices would be very limited? This Instagrammer might probably change your mind. 16-year-old Jose, who goes by the name naturally.jo, on Instagram, creates amazing vegan desserts and breakfast dishes. With his vibrant, colorful and fully vegan recipes this food enthusiast seems to be on a mission to ban ‘boring food’. 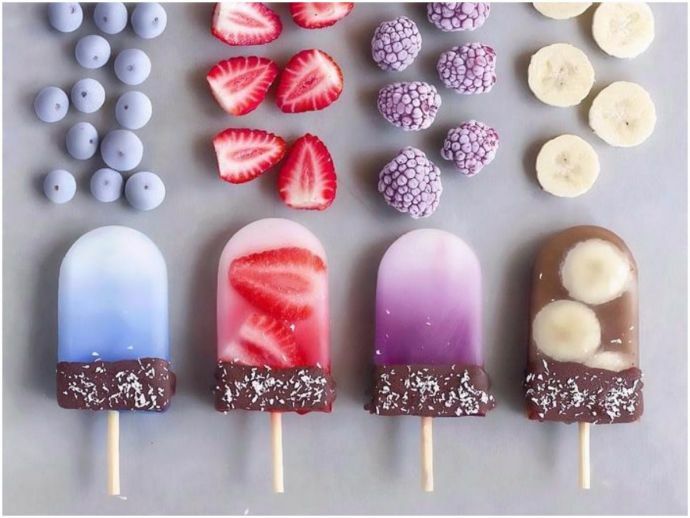 This teenager creates a variety of trendy dishes such as smoothie bowls and raw cheesecakes, with frozen and fresh fruits not just as garnish, but also as the core ingredient of the dish. In all his recipes, Jose plays around with different flavors, textures and colors to create these stunning culinary masterpieces, that don’t just look beautiful, but are also healthy. Vegans usually replace milk based products with alternatives like soy milk, tofu, almond milk, coconut milk or wheat based gluten. Looking at his posts one might think being vegan isn’t as bad as it sounds! AQUA Smoothie Bowl ??????????????????? ?✨ Topped with banana slices, shredded coconut & frozen blueberries ???? Smoothie ingredients are just frozen bananas with a pinch of butterfly pea powder & matcha. Ocean Inspired Breakfast! AQUA Smoothie Bowl ??????????????????? ?✨ Made with frozen bananas, blue pea tea powder & matcha. Topped with sprinkles, frozen blueberries & blackberries and kiwi ???? Oceanic Breakfast! ✌???? With all these delicious looking desserts, are you drooling too?